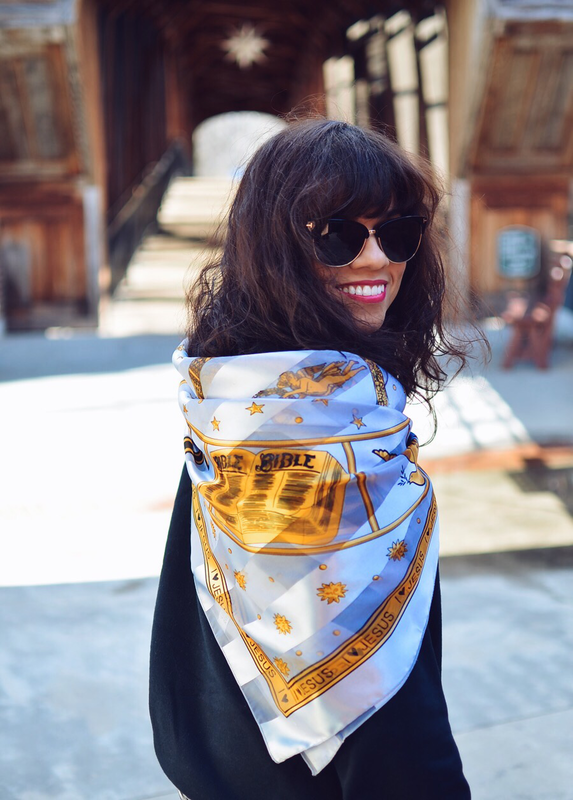 Silk scarves have always been a fashion weakness for me. I love the fact that they can enhance a minimalist person's wardrobe or bring even more fun to the maximalist. 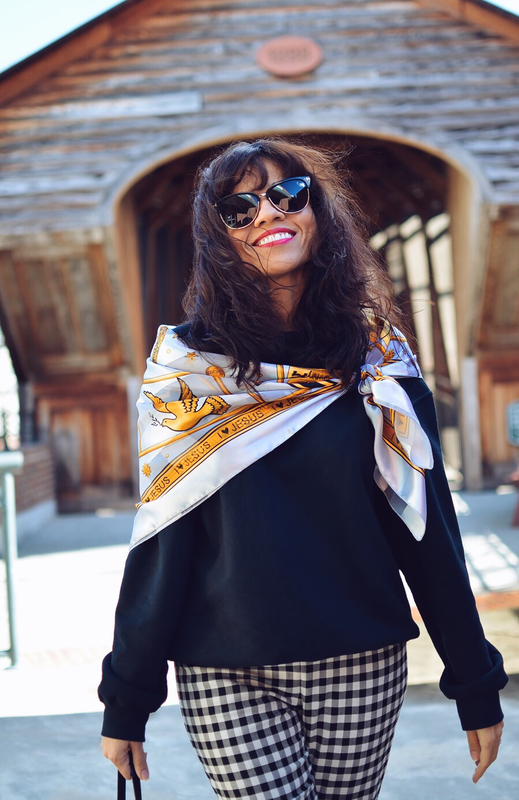 There are tons of ways to wear a silk scarf, in fact, they are more versatile than wool scarves because you can wear them all year round. I was immediately attracted by this particular scarf because of its message. I'm a Christian, therefore, I don't mind to share a spiritual message through fashion, mainly these days, that regardless of our religion, positive messages should be shared more often. Scarf: Local shop. Similar/Sweatshirt: Gildan. Similar/Pants: Zara. Similar/Oxfords: Barneys New York. Similar/Sunglasses: Tom Ford/Bag: Kate Spade. Similar. My first outfit with my scarf, as you see, is casual. The weather was around 60 degrees, so I could get away with wearing a simple sweatshirt, however, enhanced with a chic pair of gingham pants and my scarf. 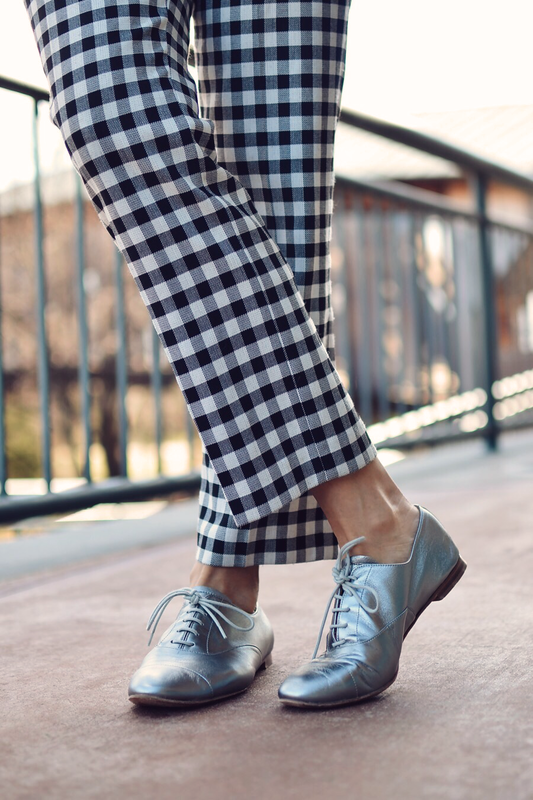 ...and to match the silver tones in my scarf, I decided to wear my classic silver oxfords; that, besides being reliable, are super comfortable.